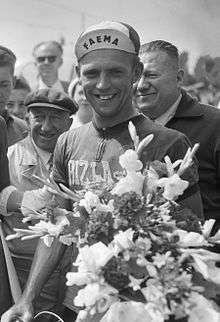 Noël Foré (23 December 1932 – 16 February 1994) was a Belgian professional road bicycle racer. His greatest victories were Paris–Roubaix in 1959 and the Tour of Flanders in 1963. ↑ "57th Paris – Roubaix, 1959". bikeraceinfo. Retrieved 14 May 2015.